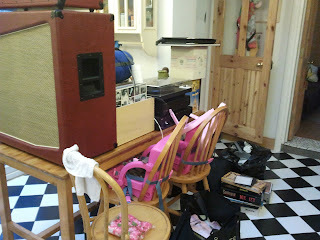 The contents of the music room balancing on the kitchen table! Somehow, with a lot of late-night elbow grease, everything got finished and our little house managed to look its very best for the big day. In fairness, bunting makes everything look better! Lile and Sábha woke up on their birthday morning, with sleepy heads, to sunshine and balloons. 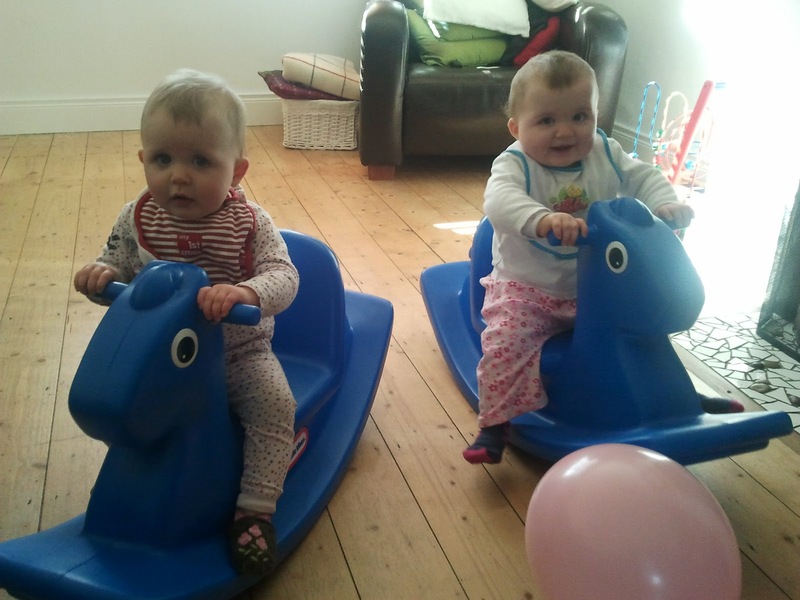 ﻿﻿﻿After breakfast, their Nana arrived, with matching Horsies! So much fun, and a gift I hope they will enjoy in the garden all summer. After a little nap the girls donned their Pink and Green Party outfits and tried on their mama-made birthday crowns. The party table was set-up, with lots of Pink and Green treats, and the cake. Oh, the cake! It was so pretty I had to make Devo cut it. I just couldn't bear to destroy it! 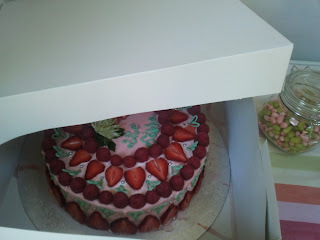 It was absolutely delicious and made by a very talented cousin - who also happens to have a twin sister! She also made the gorgeous cupcakes! ﻿When the guests had all gathered, it was time to sing the Happy Birthday song and to give the girls their very first taste of cake! The eating part was very serious business on the part of the girls - just look at their expressions! Sábha ate the fruit and some of the cake, but wasn't too sure about the icing. 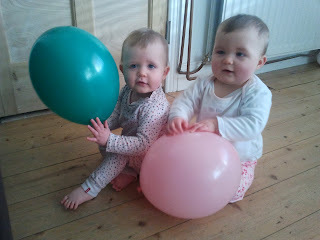 It was a really great day, the twinnies had the best fun ever and we, as parents, enjoyed every minute. The girls received so many beautiful cards and gifts and we are so, so grateful to our wonderful family and friends for making the day extra special. I'll remember it forever.